From the best-selling author of While I Was Gone and The Senator’s Wife, a superb new novel about a family and a community tested when an arsonist begins setting fire to the homes of the summer people in a small New England town. Troubled by the feeling that she belongs nowhere after working in East Africa for fifteen years, Frankie Rowley has come home—home to the small New Hampshire village of Pomeroy and the farmhouse where her family has always summered. On her first night back, a house up the road burns to the ground. Then another house burns, and another, always the houses of the summer people. In a town where people have never bothered to lock their doors, social fault lines are opened, and neighbors begin to regard one another with suspicion. Against this backdrop of menace and fear, Frankie begins a passionate, unexpected affair with the editor of the local paper, a romance that progresses with exquisite tenderness and heat toward its own remarkable risks and revelations. 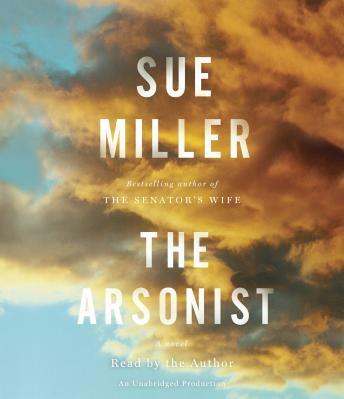 Suspenseful, sophisticated, rich in psychological nuance and emotional insight, The Arsonist is vintage Sue Miller—a finely wrought novel about belonging and community, about how and where one ought to live, about what it means to lead a fulfilling life. One of our most elegant and engrossing novelists at her inimitable best.